Today is interview day for Book Blogger Appreciation Week 2012! started book blogging! It's fun to read about how their book blogging journeys began! TMT: What inspired you to become a book blogger? Katherine (@katsok): You all did! My friends that were already blogging and kept nagging me (in a super wonderful way) to get writing. Attending NCTE for the first time last year and meeting some wonderful people who were all blogging and be inspired by them was a huge influence. I came home on Sunday and started my blog that Tuesday. Yikes! You can see my first post here: http://readwriteandreflect.blogspot.com/2011/11/testing-water.html I clearly remember the nervous feeling in my stomach when I hit "publish." And, for you teachers, that feeling was the beginning of many lessons that writing publicly has taught me to share with my students. What blogs, people, etc, influence(d) you and your blog? Katherine: Oh man, so many. Obviously yours, Colby's (Sharpread), John's (Watch. Connect. Read. ), Teri's (The Goddess of Ya Literature), Franki and Mary Lee (A Year of Reading), Travis's (100 Scope Notes), Anita's Silvey's (Children's Book Almanac), Karen and Bill's (Literate LIves), Mindi's (Next Best Book), and so many more. Donalyn Miller has been a huge influence for me as have my friends through Twitter and Slice of LIfe. Colby (@colbysharp): I felt like it would be a good way to keep track of what I was reading and I hoped that it would help to to begin consistently writing. TMT: What blogs, people, etc, influence(d) you and your blog? Colby: When I started I was a giant fan of Mr. Schu and Mr. Jonker's blogs. Debbie (@stylinlibrarian): I had too many thoughts on books to contain myself anymore just on Goodreads and Facebook, so with my sister's encouragement and my husband's patience, I decided to begin officially blogging. I did blog a tiny bit before my Styling Librarian posts, but those were not personal, more for professional library webpages. I love how I'm able to reach around the world and have conversations with inspirational people, keeps me going! Plus I have incentive to explore new children's literature and share treasures. and way too many others... honestly. Beth (@foodiebklvr): I was inspired to become a book blogger for two reasons: 1) My husband isn't a reader and none of my friends lived nearby so I didn't have anyone to talk books with, which resulted in my decision to take to cyberspace to do it. 2) I wanted to know what was new and up-and-coming in the publishing world so I could share that with my students. I didn't want to be the teacher who was always recommending the same five books because I didn't know any different. Beth: The bloggers that inspired me from the very beginning were Lenore Appelhans at Presenting Lenore and Kelly at Stacked. Their commitment to their craft has always been evident in their reviews and I have tried to emulate that commitment in my own book reviews. I have since become inspired by my teacher and librarian friends/Nerdy Book Clubbers like Donalyn Miller, Mr. Schu, Colby Sharp, Brian Wyzlic, Sarah Andersen, Jillian Heise, and of course Jen Vincent and Kellee Moye. :) I am amazed at what all these people do to promote the love of reading in their students. Franki (@frankisibberson) and Mary Lee (@maryleehahn): Well, here is how our blog started. Mary Lee and I have always met and chatted about books forever. For years, every January, we'd meet for coffee or breakfast and make our Newbery predictions. It was a fun chat and made our own rules. Then one year at Panera after we had talked about books, Mary Lee said, "What if we blog our conversation this year?" I had no idea what a blog was but Mary Lee said she'd take care of that part. And so we started "A Year of Reading" . The intent was to chronicle our year of reading on a blog --the conversations we'd always had--leading up to the Newbery. One year turned into 2 and now into almost 7. Franki and Mary Lee: For the first 6 months, we pretty much just talked to ourselves and each other. Some blogs that we first learned from (we were such huge fans they were our "idol" blogs) are blogs that we still love and learn from. We loved and learned from were Betsy Bird's even before her #Fuse 8 blog became part of SLJ. We learned so much from her from the very beginning. Jen Robinson of Jen Robinson's Book Page was another blogger who had a huge influence on us. We loved her blog and her "Cool Girls in Children's Lit" inspired our "Cool Teachers in Children's Lit". She taught us about the possibilities of blogging. Melissa Wiley's blog "Here in the Bonny Glen" was another that we loved from the start. (Melissa was actually the person who invented the word KIDLITOSPHERE many years ago!) And we loved and learned from Pam Coughlan and her blog, Mother Reader. Now we learn from too many to even count. We count on our kidlit blog friends for sustaining our lives as readers and can't remember how we lived without all of our great blogger friends. Amanda: I'm not kidding when I say you guys! 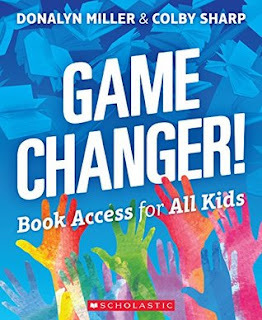 I know that if either of you, John Schu, Donalyn Miller, Colby Sharp or Danielle from There's a Book recommends or is super excited about a book, its a winner and I either have to put it on hold at the library, sit in the picture book section of the bookstore to read it, or just go ahead and buy it! And not only that, but all you guys are so nice. I am in awe of your combined knowledge of books, children and teaching. I hope that one day I can be as knowledgeable, and as enthusiastic, as you guys! Kim (@kagmoran): I was inspired to be a book blogger because in my job I am so surprised to find out that a lot of teachers and other friends don't know so many amazing books are out there. I wanted to share what I love and have been inspired by. I also wanted to write about it for myself. I like to reread what I write about books and how I was thinking. It surprises me sometimes. I forget how much a book like The Scar by Charlotte Moundlic moved me to tears. This helps me keep a record. Kim: When I first started blogging, I wanted desperately for more followers. I don't really worry about that any more. I was inspired by great teachers like Kristin from A Teeny Tiny Teacher and Abby from The Inspired Apple, but I never felt like them. So I started looking around at blogs that moved me and helped me become who I am now. I followed Teach Mentor Texts, Nonfiction Detectives, Susanna Leonard Hill, Grade Onederful, Rubber Boots and Elf Shoes, Mrs. Wills Kindergarten, and Colby Sharp. When I met Mr. Schu on Twitter, I fell in love with his passion and followed him as well. So many blogs influenced me and still do. Lorna (@notforlunch): The last 15 years or so, I've found my own passion for children's literature reignited as I went back to school to get my teaching credential for what was a short career, and then building a love of reading with our two daughters, now 8 and 11. The last five years or so I've been more actively reviewing the books I've read on sites including Goodreads as I found myself reading too many good books not to share. I'm one of those people who's constantly recommending books to the adults and kids in my life. This evolved into my blog, Not For Lunch, which I started in 2011 where I talk about my reading and parenting life. My blog is my way to share my book love! Lorna: My own kids and the other kids in my life are the greatest influencers on my blog. I'm reading to find things that might pique the interest of them, their friends, my friends' children, or my young nephews. I love finding books that entertain and books that teach us something about ourselves or the world around us. Even though I'm not teaching anymore, I am constantly inspired by the reading community I have meet through Twitter, including the kind, generous members of Nerdy Book Club (Twitter hashtag #nerdybookclub). Many of these folks have great websites that I visit frequently for not only great book ideas, but great ways to present that information to others including Nerdy Book Club, Mr. Schu's Watch. Connect. Read., Colby Sharp's sharpread, and Maria (who is a former teacher and parent, like me) at Once Upon A Story, amongst many others. Earl (@ea12l): I've always loved reading, and when I find a great book, I want to share it with everyone! This year, in particular, I started "The Chronicles Of A Children's Book Writer" to share my thoughts on the books I've read and to let people know of interesting literacy-promoting websites and events- as well as a way to keep myself accountable with my writing. Earl: The best thing about starting my blog was discovering all the other people who are as passionate as I am about children's literature. They inspire me every time I visit their blogs. Maria (@mselke01): My blog started out as a way to share my thoughts on anything that popped into my head. That's why I went with the name "Melange" (though it is also a Dune reference, for you classic science fiction readers). Over the course of the past year, though, it seems like more and more of my posts are book related. I think that's mostly due to the rich reading and teaching community I've found on Twitter. The more I read, the more I want to share what I've loved with others. Being involved in the weekly "It's Monday" thread has pushed me further in that direction. I also blog about parenting, gender issues, and geeky topics like comics and science fiction and fantasy movies. Maria: Hmmm... I'd have to say that Teach Mentor Texts has been a huge influence. I've tried to find my "niche" in how I write reviews (especially my SciFi reviews) by looking at how you do it. I'll admit to also using this site to help guide me as I worked in my first ever Blog Tour for Ann Aguirre's Outpost (which just went live on Monday!) Two Writing Teachers also impacts me, because I try to participate each Tuesday in the Slice of Life challenge. I managed to write every day in March as part of that challenge! This past year has given me so many opportunities to write posts on my blog and as guest posters. I linked up here with a post on Dystopian, with Donalyn's Book Whisperer blog on creating reading communities, did solo and joint posts on Nerdy Book Club, and even did a post on using Star Wars fandom to teach literary analysis for the School Library Journal's Connect the Pop blog. Interacting with authors on Twitter has been another major source of inspiration for my blog. 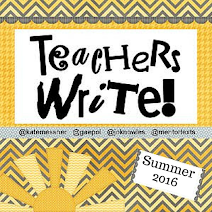 Kate Messner and Gae Polisner (and Jen) got me writing a lot this summer as part of Teachers Write! Getting to know them and other authors like Tom Angleberger, the Holm siblings, and Jarrett J. Krosoczka inspires me to share my love for their books. Crystal (@librarygrl2): Last summer I was taking a art class about unleashing creativity where one of the assignments was to journal every day. I also stumbled onLaurie Halse Anderson's challenge to write 15 minutes a day. It seemed that a blog would be a great way to accomplish daily writing without feeling threatened or pressured. I settled on children's lit and reflections of the coming school year for my focus since I am an elementary level teacher librarian and I adore books. I didn't write every single day, but did write WAY more than I had in the past. Crystal: Another set of people also helped to give me a reason to write. Cathy, from the blog Reflect and Refine, and Mandy, from the blog Embrace Learning, announced a virtual picture book party called 10 for 10. 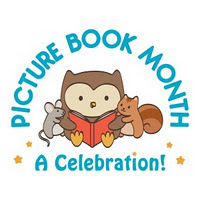 I needed to have a spot online to post my ten favorite picture books for this great event. Of course, after I started blogging, there have been many more people helping me on my way through some great modeling. 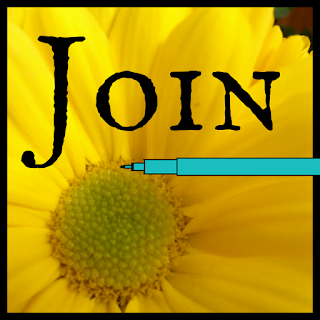 Linda (@lbaie): I began my blog because I thought I had something to say about literacy, all kinds, including books. I began my teaching career as a first grade teacher because I wanted to teach kids to read. I thought there probably was nothing greater than to see a young child’s eyes light up when they realized those marks on the page were something they could interpret. They could read! As I began writing for my blog, I realized that I sometimes found books that I believed everyone should know about. So I began writing about them. Linda: Well, my blogging connections with Kellee and Jen at Teach Mentor Texts have been special. They inspire me because they do so much reading and sharing of new and old good books, so I feel as if I can’t let them down, like one thinks about a special teacher. 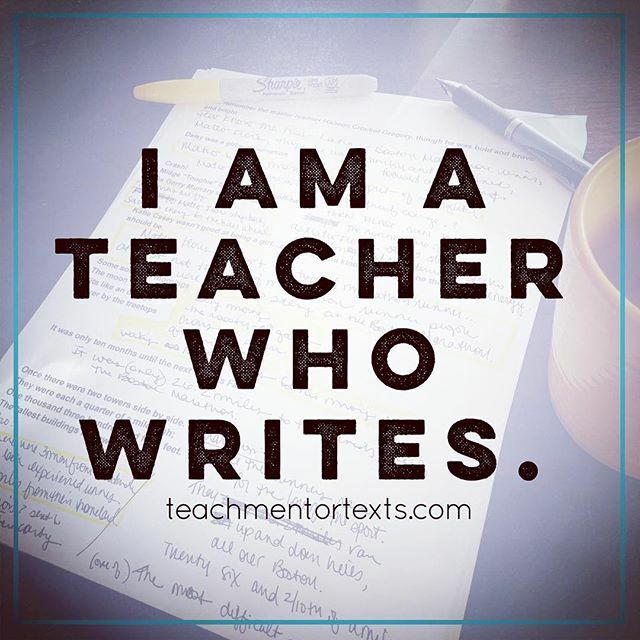 I started blogging withTwo Writing Teachers, Stacey and Ruth, and loved the way they talked about teaching, including books good for professional growth as well as terrific mentor texts. And I began contributing to the Poetry Friday group where I learned about many volumes of poetry for all ages and learned some things about how writers talk about poetry. Finally, the blogs that, like those above, both inspire and add to my weekly reading/book buying adventures that sometimes seem out of control are Katherine at Read,Write,Reflect, Colby at Sharpread, and the NerdyBookClub blog. Of course I read many other blogs, in the slicing community and those who contribute on Monday. Every one, and there are a few special friends, adds to my knowledge and are those that I emulate. I enjoy writing and adore reading, so blogging in a community that feels the same way is simply a joy in my life. Thanks to all who help me realize that every day I read their words. Jenn (@jennann516): During Christmas break there was a lot of talk on Twitter about different NerdyBookClub challenges, and I made plans to participate in the NerdPrintz and Nerdcott challenges. I've had a personal blog in the past, and I figured the new year and new challenges would be the perfect time to start a book blog. I'm definitely still growing, and I don't post nearly as much as I want, but I love blogging about what I'm reading. 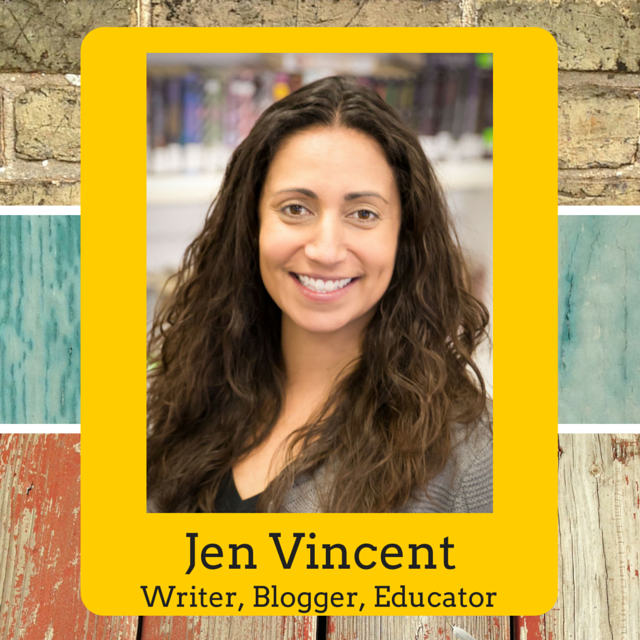 Jenn: The Teach Mentor Texts blog was actually a huge inspiration! I've read this blog for about a year, and I love the IMWAYR posts each Monday. Fellow teacher book bloggers Sarah Anderson (yaloveblog.com) and Jillian Heise (heisereads.com) were also inspirational. I love that they review books they have in their classrooms, and how Sarah has occasional student guest reviews. Alyson (@alybee930): The community of other bloggers, teachers, librarians was a significant part of why I became a blogger. I loved sharing with others and getting to creatively talk about what I was doing and what I loved (books and literacy). ﻿﻿Anita Silvey's Children's Book-A-Day Almanac - Great focus on a variety of books and lots of fun facts. Mr. Schu's Watch.Connect.Read - Aside from all the great book trailers that John finds, I also enjoy the author events, and the glimpse into his library, and the other unique features. Nerdy Book Club - Great posts and great people! From the Mixed Up Files...of Middle Grade Authors - Definitely a great resource for Middle Grade books. http://blogs.edweek.org/teachers/book_whisperer/Of course there are lots of friends who are also teacher or librarian bloggers but if I started listing them all, we would run out of room. Danielle (@the1stdaughter): Without a doubt it was my son first and then the marvelous Natasha from Maw Books Blog. My son is a voracious reader and I couldn’t keep up with his habit. Even at eighteen months it was difficult to find books for him and I knew I couldn’t be alone. I sought out review blogs online and quickly discovered that an old “real life” friend of mine had a great book blog, Natasha. Her site showed me that it wasn’t only possible to accomplish what I was hoping for, but that there was an entire community waiting to welcome me. Danielle: Yesterday I shared a list of some of my favorite book blogs and those would definitely be some of the inspiration behind what I do, but there are definitely others. Yours, Jen & Kellee, because of the detail and experience you bring to your posts inspire me to pay attention to the details and remember to share those with my own readers. Also Amy from My Friend Amy, because of her dedication to the book blogging community, Pam from Bookalicio.us because of her tenacity, and my own mom who was one of the original food bloggers that started out with Julia from the Julia and Julia movie/book. More than anyone, my mom taught me to blog about what you love and forget what everyone thinks because you never know who will be there tomorrow, but your words will remain forever. a book blogger? What blogs, people, etc, influence(d) you and your blog?